This office was rather challenging because of the small space. It was not intended to be an office so we had to make-do. There were no files set up for keeping documents except some stuffed into legal size folders and put in a magazine holder. 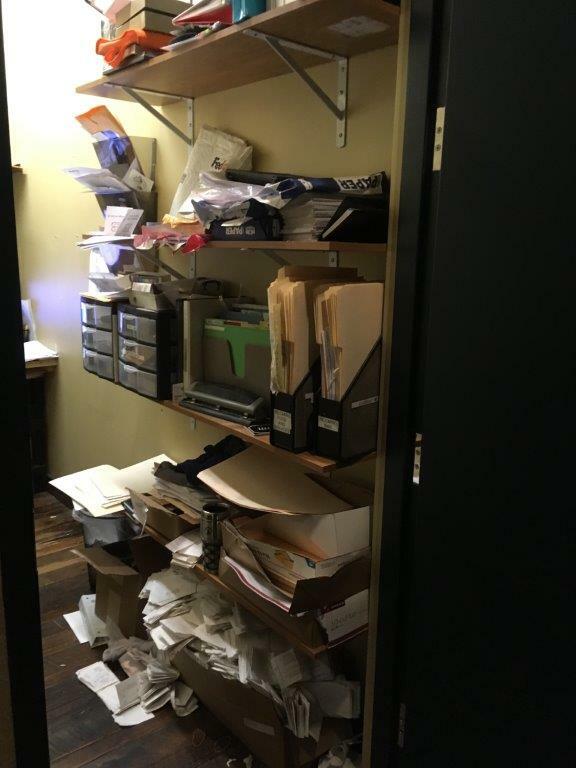 So, we created a filing system for loose papers and kept the legal files the same since the manager who handles them was used to that system. We removed out of date documents from the bulletin board and organized it. All employee files were labeled and put in hanging file folders and placed into a portable file cart. For each manager we used letter trays for their mail/papers and labeled with their name. We also used letter trays to hold printer paper and placed it up on the shelf by the printer.